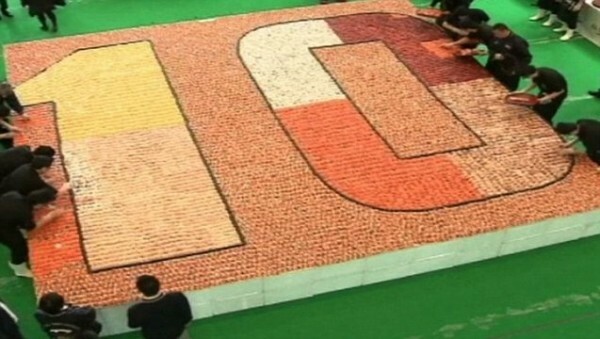 More than 100 sushi chefs on Wednesday jointly created a sushi mosaic covering an area of 37.57 square meters in Hong Kong, creating a new Guinness World Record. 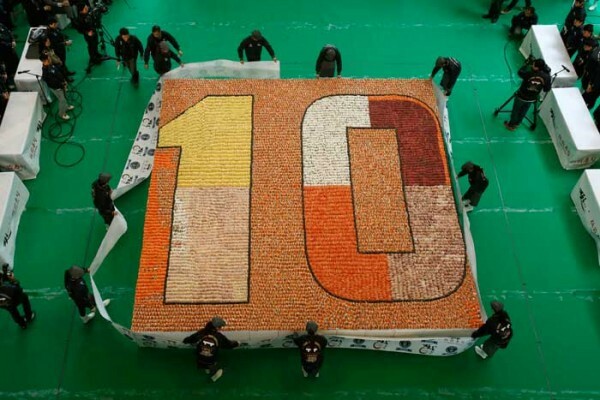 The world’s largest sushi mosaic, featuring 20,647 pieces of sushi made from salmon, tuna and other eight types of food material, has beaten the record of sushi mosaic covering an area of 31.59 square meters set by a Norwegian company in September 2013. To keep the sushi fresh, the whole process was completed in a skating rink with temperature of minus four degrees Celsius. The record was set by Itacho Sushi, under the Taste of Japan Group, a Hong Kong-based Japanese food enterprise, to mark the 10th anniversary of its founding. 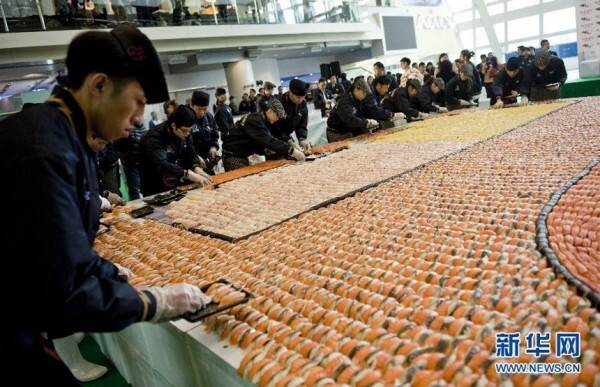 After the event, citizens could taste the sushi for free, and the rest will be packed and given to the Street Sleepers Action Committee (SSAC) and the Family Support Service Center of Kowloon District in Hong Kong. The event was organized by Itacho Sushi, together with the two organizations. 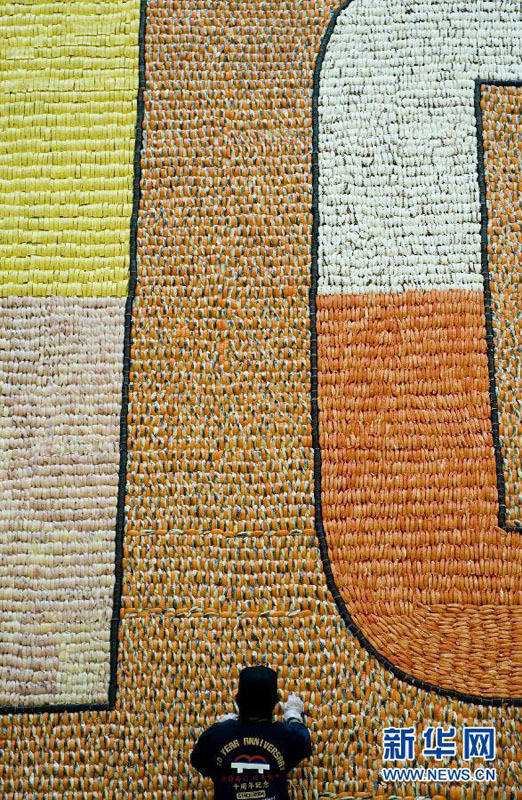 This entry was posted in Featured, Food & Drink and tagged Largest, mosaic, sushi, sushi mosaic, World's. Bookmark the permalink.